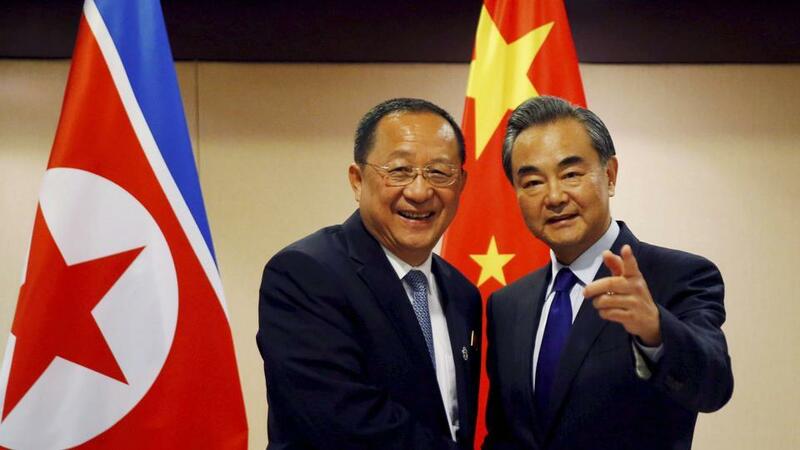 BEIJING: China’s special envoy for North Korea said on Friday there were “complex” reasons why he has yet to visit the country, but that China’s efforts to help bring about the denuclearization of the Korean peninsula and foster peace were relentless and unchanged. Vice Foreign Minister Kong Xuanyou, who is ethnically Korean, became Beijing’s special envoy to North Korea last August. His predecessor, Wu Dawei, made his last publicly announced visit to North Korea in early 2016, urging restraint after North Korea announced a plan to put a satellite into orbit with a long-range rocket. “The reason I’ve not been to North Korea since being appointed the Chinese government’s special envoy for Korean peninsula matters is very complex,” Kong told reporters. “But no matter whether or not (I) go to North Korea, our firm stance on being dedicated to maintaining peace and stability on the peninsula and the denuclearization process has not changed,” he added. Song Tao, who heads the ruling Chinese Communist Party’s international department, was the last top official from China to go to Pyongyang, in November. Song was there to discuss the outcome of a party congress in China and statements from both countries made no mention of the nuclear crisis. North Korea has shown less and less interest in dealing with China diplomatically over its weapons program or listening to Beijing’s pleas. China is North Korea’s closest ally, but it has been infuriated by the North’s repeated missile and nuclear tests and has signed up for increasingly tough UN sanctions on the isolated nation. Kong said China welcomed a recent improvement in the situation, with the two Koreas reaching agreement on North Korea’s participation in next month’s Winter Olympics. China says sanctions are not the final way to resolve the issue and has repeatedly called for a return to diplomacy and the restart of a six-party talks process with North Korea, which includes China, the two Koreas, the United States, Russia and Japan and which collapsed in 2008.